The Washington Post has come out against the deal that was signed between Iran and the West in Geneva last weekend. “What the White House didn’t report is that the text of the accord makes several major concessions to Tehran on the terms of a planned second-stage agreement,” said The Washington Post. 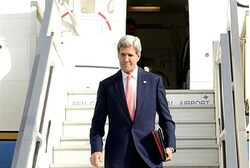 “It also states that ‘there would be additional steps in between the initial measures and the final step,’ including ‘addressing the UN Security Council resolutions.’ Those resolutions order Iran to suspend uranium enrichment, but the agreement does not say whether those demands will be enforced,” noted the newspaper. “Iran thus could look forward to a time when there would be no sanctions and no special restrictions on its nuclear capacity; it could install an unlimited number of centrifuges and produce plutonium without violating any international accord,” warned the editorial. “Whatever the final compromise, it would be dangerous to allow this Iranian regime to have an unrestricted nuclear program at any time — and it surely would be unacceptable to Israel and Iran’s Arab neighbors,” the editorial went on to say. “The interim arrangement, as we have said, is worthy because it checks Iran’s progress toward a bomb and is far preferable to the military action that otherwise might have been necessary. But the agreement leaves the United States and its partners at a disadvantage in negotiating the comprehensive settlement. The concessions made to Iran will have to be balanced by a major rollback of Iran’s nuclear infrastructure — with no automatic expiration date,” it said. Israeli leaders have been critical of the deal, which they argue left Iran dangerously close to obtaining a nuclear weapon. In fact, a report Thursday in the same Washington Post indicated that as a result of Prime Minister Binyamin Netanyahu’s constant warnings that the deal was a dangerous one, President Barack Obama had asked him to “take a breather” from his criticism of the deal. U.S. lawmakers from both parties have been weary of the deal is well. Soon after the deal was signed, a group of 15 senators declared they would push for more sanctions on Iran. The Obama administration has been waging a very aggressive campaign to dissuade senators from pursuing new sanctions. According to some senators, during one briefing Kerry repeatedly told lawmakers to “ignore the Israelis” about Iran.